At MFE Insurance, we understand that protecting the future of your or your employee’s family is important. Our insurance brokers are committed to crafting a personalized policy based off you or your employees’ needs and goals. MFE Insurance offers term, whole, and universal life insurance policies to companies of any size. Term Life Insurance, sometimes called a Pure Life plan, is designed to provide coverage for a certain time period. Term life policies only protect you or your employees’ dependents in the event that you die prematurely. Terms are typically 10, 20, or 30 years long, and if you pass away during that time frame your beneficiaries will receive the payout. However, if you exceed the time period, without renewing it, then your policy has no value. A Term Life insurance policy will give you or your employees’ beneficiaries the death benefit when you die. While the death benefit can be used by beneficiaries however they like, typically it is used to cover funeral expenses, remaining debts, mortgages, or it can be used to replace your lost income. With a term life Policy, your initial premiums will be lower than whole life plans so these policies can be more cost-effective for many people. Whole Life Insurance provides lifelong coverage and includes an investment component known as the policy’s cash value. This cash value is tax-deferred, which means that you won’t pay taxes on it while it’s slowly accumulating. This policy offers benefits such as premium rates staying the same throughout your lifetime, the death benefit is guaranteed, and the cash value grows over time. 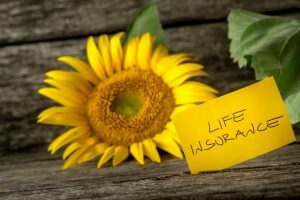 Whole Life Insurance is extremely beneficial if you can afford to make higher payments because the death benefit is guaranteed, as long as the policy is not surrendered. You also have the benefit of cash value, a tax-free sum that grows over time. Whole life plans can also be used as part of your estate planning. You can rest easy knowing that without a doubt, your loved ones will have the financial support they need after your passing. Universal Life Insurance, also known as an Adjustable Life plan, is a policy that offers you some of the benefits of both term and whole plans. It provides the low-cost protection of term life plans, while also offering the savings element of a whole life plan – which is the cash value that is invested. universal life plans also allow for renegotiation as your situation changes. Allowing the death benefit, savings component, and premiums to be adjusted throughout the course of your policy. Universal Life Insurance is highly advantageous if you’re looking for flexibility in your policy. It offers an all-around protection for your beneficiaries and guarantees them the death benefit. It also allows you in times of low liquidity to adjust your premium pays, you can even make withdrawals from your cash value if necessary.